I have a fun craft for you today. 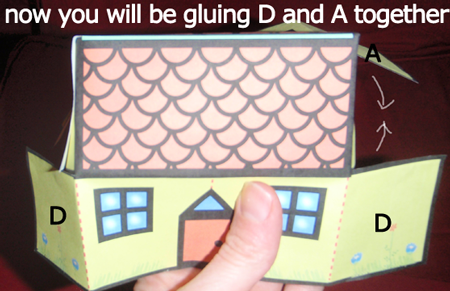 I am going to show you how to make a paper house. 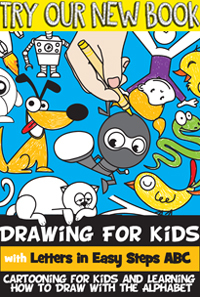 This is a craft for a child of any age…. young or old. 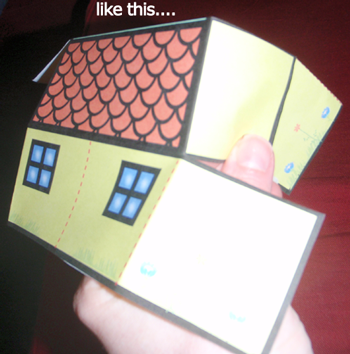 For a sturdier house instead of using paper use Card Stock. 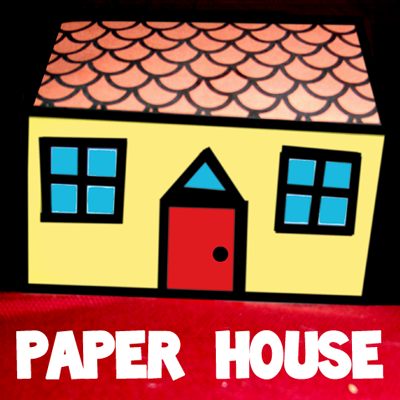 If you don’t have any Card Stock at home…. no biggie. 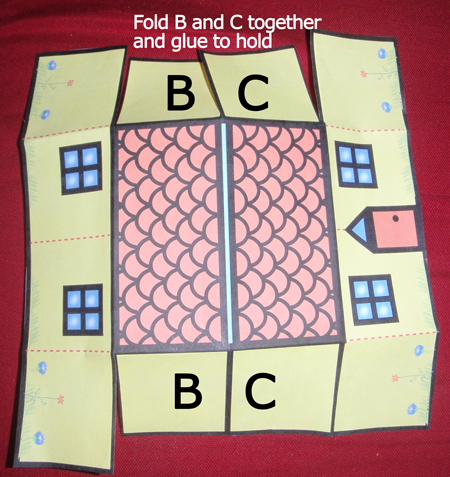 Simply print the template on regular paper and glue it onto the back of a cereal box and cut it to the size of the paper. So, let’s get started. 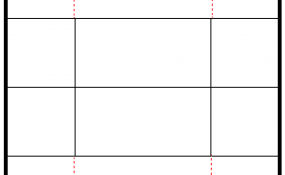 Below are the printable templates. 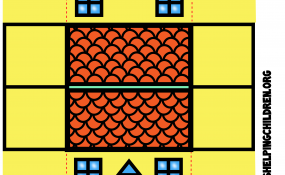 You can choose to print the template with the house already on it or print out the blank template and draw your own house. Click on the image to make larger and to print. 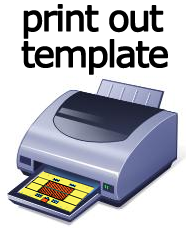 Cut template out of paper. 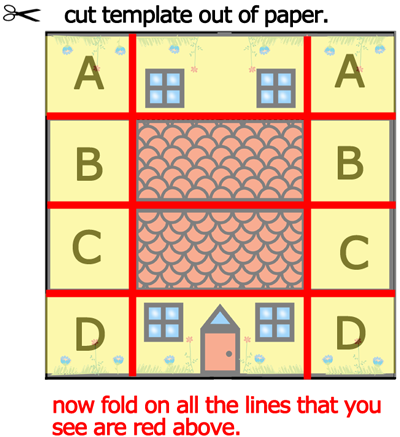 Before you start folding on the lines…. 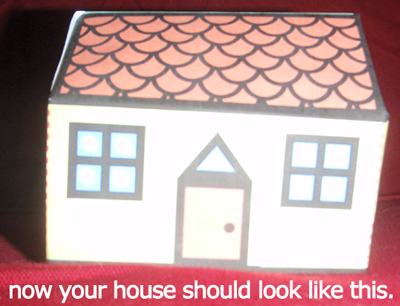 decide whether you want your windows and doors to open and close. 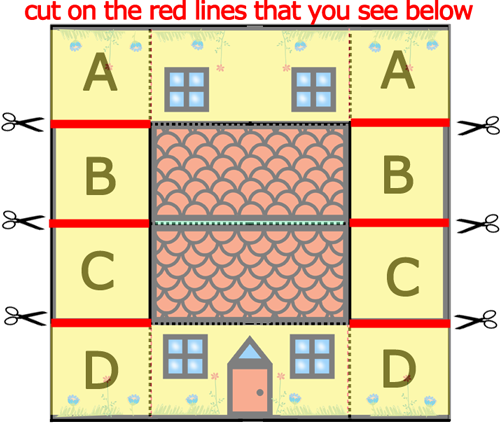 If you do move to the optional instructions below before folding on the red lines. 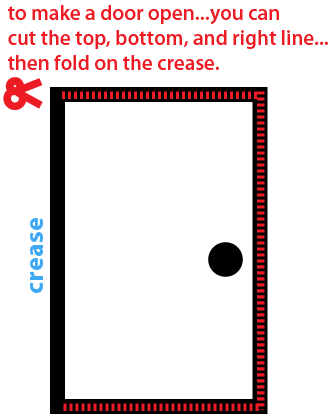 To make the door open… you can cut the top, bottom and right line… then fold on the crease. 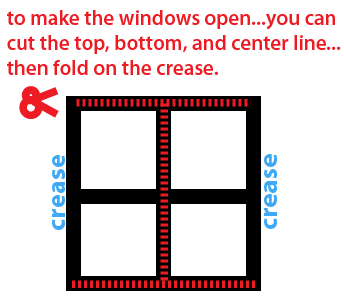 To make the windows open… you can cut the top, bottom and center line… then fold on the crease. 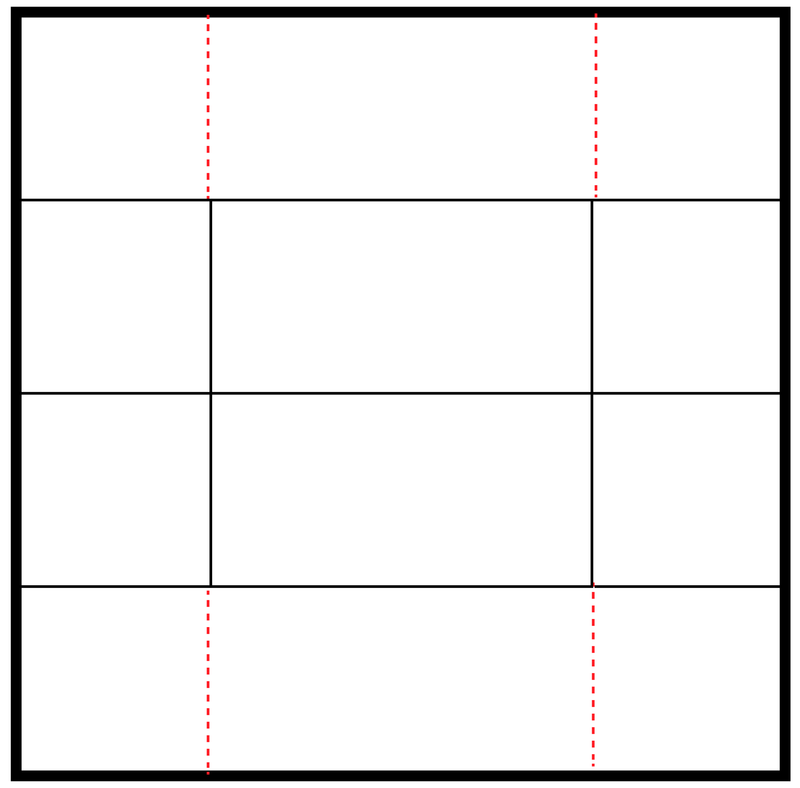 Now, once you have folded the red lines like the above picture in step #2… cut the lines like shown above. This is what your house should look like now. Now, glue D and A together. 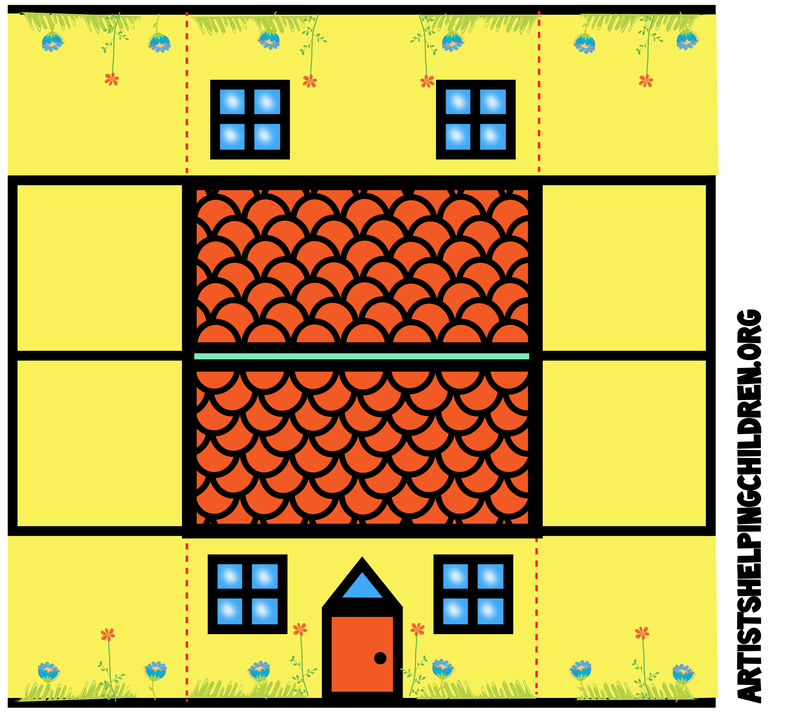 Your house should look a lot like my house above. Keep in mind, I did not make my windows and door open and close. Did you? 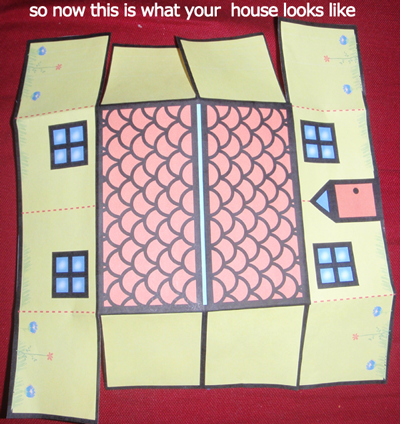 How did your house turn out? Take a picture and share it with me in the comments below.